Longing to go on a much-awaited vacation? If yes, plan a tour to Delhi. For a wholesome experience, get your tour package customized from a reliable tour and travel company. They will give you the optimum worth of your time and money. Enriched with experience and professionalism; they know well how to turn your tour into a lifetime cherished memory. Thoroughly acquainted with the diverse hubs of Delhi, they carefully plan your itinerary enlisting every worth-seeing attraction. You can explore those best places and relish this largest northern India city. To get an enlightened view, here are some of the top attractions of cosmopolitan city of India. Let’s delve deeply into them. Red Fort Red Fort, a red sandstone building is an epitome of Mughal architecture. It was built during the Mughal era in India. It is a must visit tourist place that also features light show, chhata bazaar, and magnanimous walls. Jantar Mantar Instituted by Maharaja Jai Singh, Jantar Mantar is known to be an astronomical observatory. It is fascinating place especially for science lovers. Here, you can get a deep glance of Indian astronomy. Select Citywalk A premier shopping mall, Select Citywalk is a heaven for shopaholics. Covering a large landscape, it houses multiplex, offices, plaza, top-notch retail brand outlets, food court, movie cinema, etc. If you are looking for finest stuff, this is a place meant for you. The high class variety will make all the shopping enthusiasts go crazy. National Rail Museum For fun and giggles, you can pay a visit to National Rail Museum. It exhibits static and working models of wide array of trains. Apart from this, you can also witness antique furniture, signalling equipment, Prince of Wales Saloon, Mono Toy Train, historical photographs, etc. It is a great place to visit along with the kids. Nehru Park Nehru Park is a perfect place to unwind your stress and experience utmost rejuvenation. Here, you can indulge in recreational activities. This exquisite green garden offers picture-perfect sights. Every year, it hosts myriad of concerts as well as festivals. Jama Masjid Popularly known as the largest mosque of India, Jama Masjid is a major tourist attraction of Delhi. It features four towers and a southern tower that offers an amazing view of the city. Jama Masjid was the very first architectural marvel built by Shah Jahan. Lodhi Gardens If you are on a honeymoon, Lodhi Garden is a place you must not miss to visit. Considered as an idyllic picnic spot for the couples, you can spend an amazing time with your partner. Surrounded by beautiful flora, it offers a serene ambience to cherish a quality time. 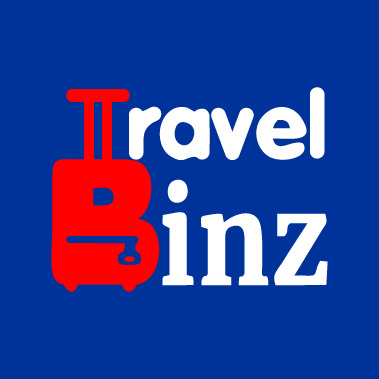 India Gate Book your holiday packages online with Travel Binz Travel Agents in Delhi India.